The vineyards stretch across the first hill encountered when coming from Siena and heading towards Chianti Classico. The Cecchi family purchased the Villa during the early '60s, and then proceeded with its restoration and the construction of the wine cellar. 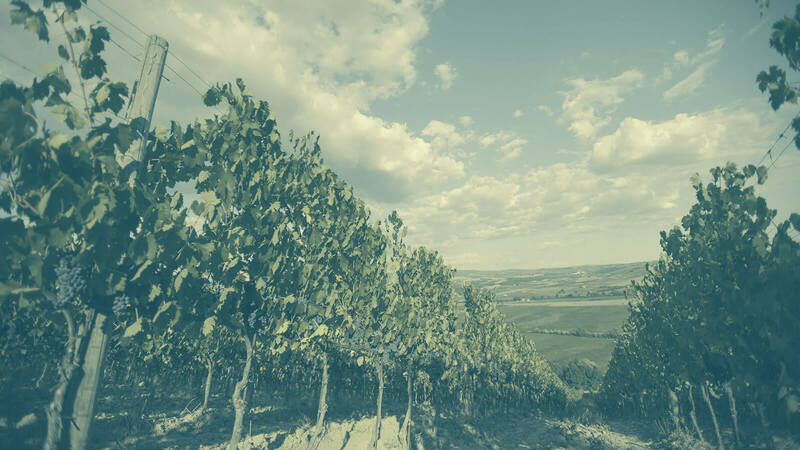 The farming knowledge, alongside with on-going experimentation, enabled a rationalisation of the vineyards. 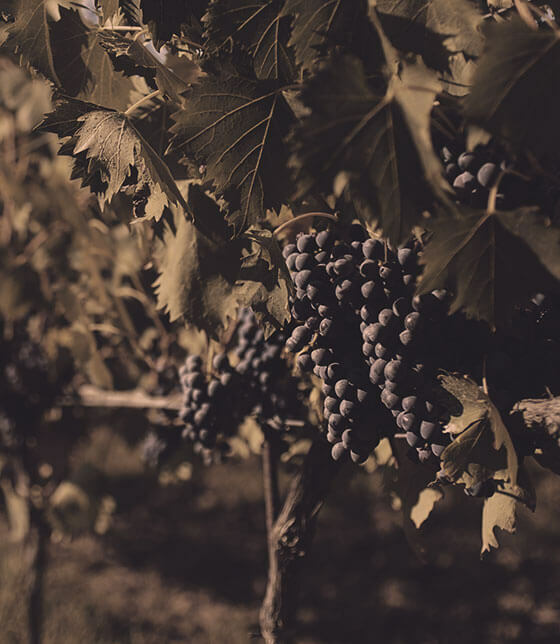 While on the one hand the winery selected plant varieties that had been historically present in the vineyards, on the other it undertook cutting-edge clonal research to identify varieties suited to the soil and climate characteristics of the terrain. Villa Cerna is a winery of the Family Cecchi Group. Villa Cerna is one of the gates to the heart of Chianti Classico. Its strategic position have turned this area into a place of absolute importance in the geography and history of Chianti. 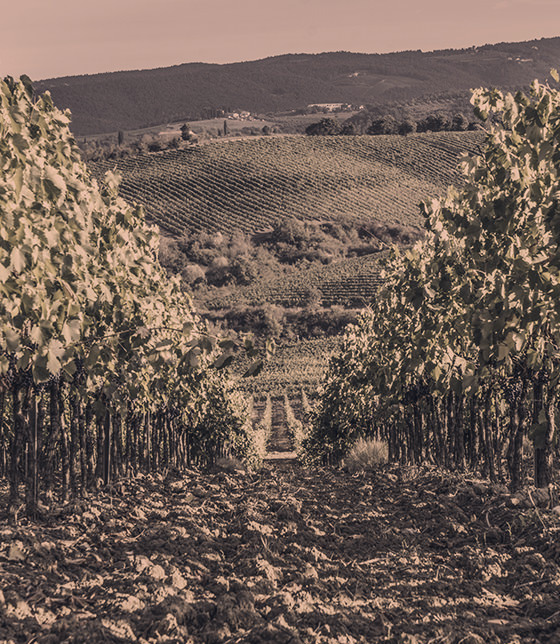 The vast valley that goes up towards Castellina in Chianti allows for an excellent exposure to sunlight, which can guarantee the perfect ripening of grapes. These lands date back to the Pliocene Era and show the presence of clay, interrupted by limestone deposits, yellow sand and marine fossils. These elements give rise to a distinct, recognisable flavour: these wines play with the floral subtlety of perfumes, for a broad and warm palate, supported at all times by just the right level of acidity. 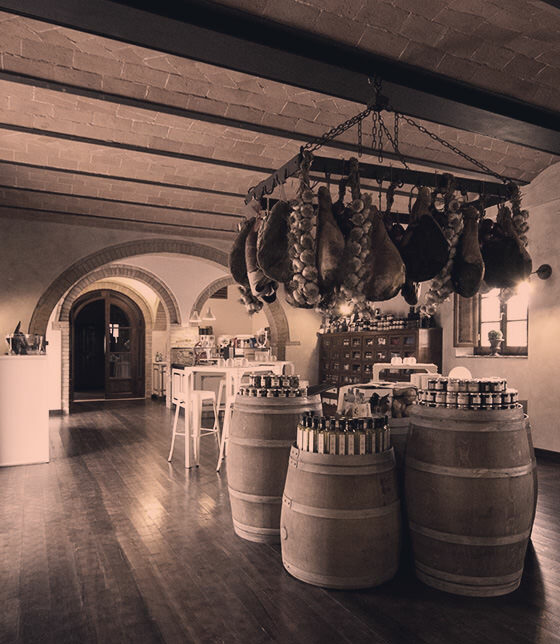 The idea became reality thanks to the collaboration of two Tuscan catering experts, Maria and Stefano Puliti, who for many years ran Chianti’s notable restaurant La Scuderia of the Abbey. Maria and Stefano were joined by Matteo Bartolozzi, son of wine expert Stefano Bartolozzi, and Matteo’s brother, Marco Bini, who manages the restaurant and customer relations. A long family tradition combined with industry expertise has created a truly unique wine and food experience, a journey through taste that begins in the lemon garden overlooking the restaurant and shop.